We take great pride the legal research skills of our attorneys. Whether it is staying focused on the changes and trends in federal or state law, or simply unique and unusual, even humorous, cases, the attorneys at the Sullivan Law Office try to stay informed of the legal news in our neighboring states which together make up the Federal Sixth Circuit. These states include our home state, Kentucky, along with Ohio, Tennessee, and Michigan. Recently, one of our blogs discussed the Ohio Judge who ordered drivers convicted of DUI to use ride-sharing services for transportation. Today’s blog looks at a Tennessee judge who ordered reductions in sentence to male inmates who had vasectomies. In an apparent demonstration of his respect for equality, the judge ordered female inmates who had birth control devices implanted to receive the same thirty-day sentence reduction. 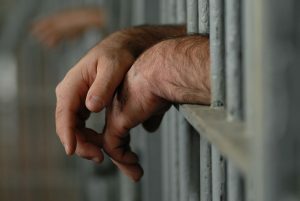 In defending accusations that these measures constituted some form of eugenics, the judge argued that his actions help inmates after their release more easily reintegrate into society by encouraging them to take personal responsibility and “not [be] burdened with children.” In the past, this same judge instituted a program that would reduce an inmate’s sentence by two days if he or she took a course on why it’s bad to use drugs around children. The program, which started on May 15, 2017, was initially formulated for women who the judge believed were at a higher risk of having drug-addicted babies. However, to avoid claims of discrimination, the program was made available to male convicts. Because vasectomies are much more permanent, the program is limited to men over 21 years old, who must also wait 30 days before the procedure is performed. Since the commencement of the program, over 30 women have received the free birth control implant, and about the same number of men received vasectomies. Both the birth control devices and vasectomies are offered without any cost to inmates.